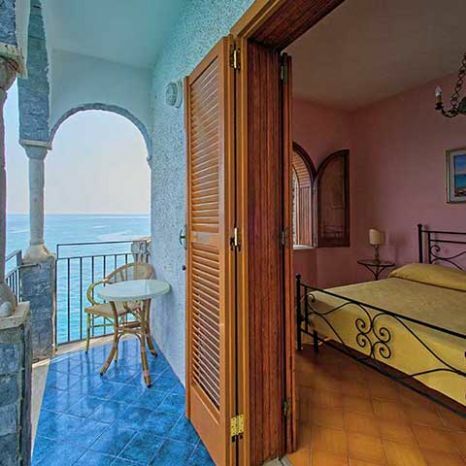 Moresca is a romantic room with panoramic views. It has a wonderful hanging balcony plus lovely windows from which you can see for miles. 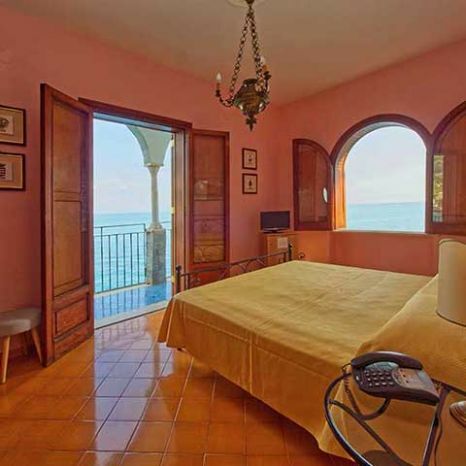 The interior design has a unique setting: The bed is located in the center of the room where you can experience the sea and surrounding landscape of the Villa. 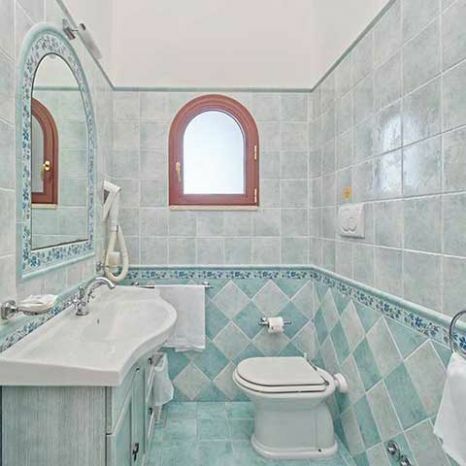 There is a Vietri Majolica bathroom and the room is decorated with elegant furniture throughout. The main living area of this room is very private for you and your partner to enjoy. The name Moresca comes from an ancient oriental dance introduced into Europe and Italy around the fifteenth and sixteenth centuries. This dance represents the movements and mimes of the centuries old battles between the Moors and Christians. It is a melding of east and west, and this room was designed with that tradition in mind. 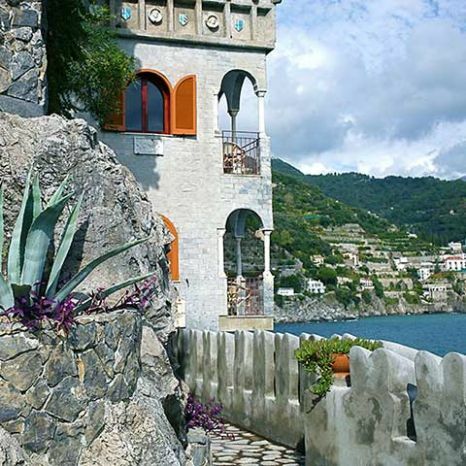 Planning a Romantic Weekend with Your Partner in Ravello? 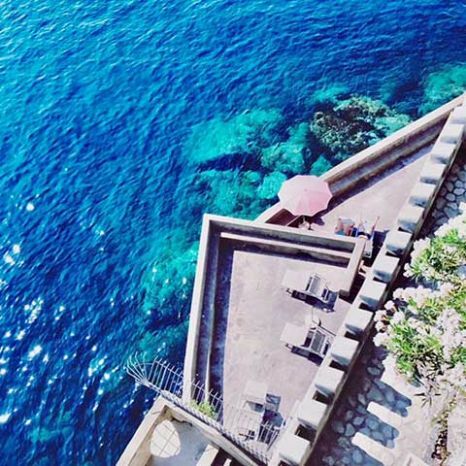 Reserve a breathtaking sea view room! Villa Scarpariello Relais is a historic castle with charme offering double rooms, suite and apartments. 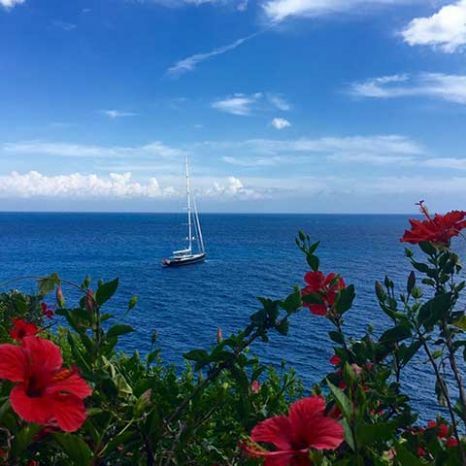 All sea view accommodations are perfect for couples, families and groups of friends looking for holiday in a secret paradise. You can reserve Moresca room from saturday to saturday. For best weekly rates see below. Wi-fi internet in the common areas of Villa Scarpariello, italian breakfast, air conditioning/heating, daily cleaning, linen. Use of the swimming pool, solarium area and private access to the sea (open weather permitting and shared with other guests of the Villa). Consumption, taxes, concierge 24h. Extra breakfast menu, tourist tax, porter service, 1 private parking in front of Villa's entrance, minibar, beach towels and baby cot (subject to availability). Small restaurant, ​​​snack lounge & ​activities. Check-In from 1 pm to 10 pm. Check-Out before 11 am. Kindly advise arrival and departure time. Check in after midnight: extra charge of € 40,00. Check out before 8.00 am: extra charge of € 40,00. Accommodations are available from 1 pm of the arrival date to 11 am of the departure date. Except from previous email notice and agreement, the expected arrival time is up to 10 pm of the arrival date. After these terms and no-show, reservation contract will be concluded and Villa Scarpariello Relais will have the right to use the accommodations. In this case deposit will not be refunded. 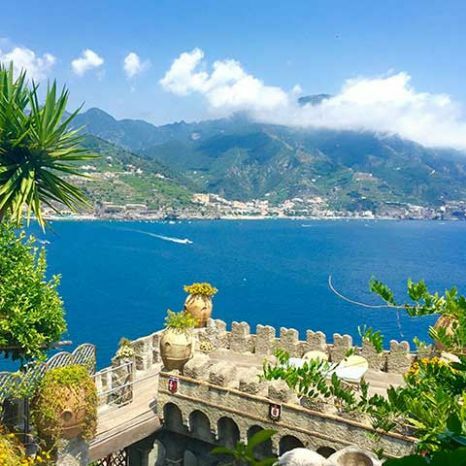 Villa Scarpariello Relais for this event will retain as compensation the full amount paid (which is always non-refundable) and will automatically charge the remaining amount according to the reservation conditions/cancellation policy. Our conditions for reservations let us plan your stay in the best way. Our intention is to guarantee a special holiday and customize your stay. In order to do so, we select following cancellation policy. To cancel a reservation please promptly insert your reservation code on line and make sure of your cancellation has been right accepted. In case of cancellation, the reservation contract will be concluded. 01. For cancellation received within 31 days before the start date of stay / check in: the amount sent to us is always non-refundable. No further charges. 02. For the cancellation received from 30 days up to the arrival date check in, no show the amount sent to us is always non-refundable. Automatic debit of the remaining amount of the agreed reservation and conditions. 03. For late arrival / early departure: the amount sent to us is always non-refundable, the days not used will still be automatically charged. 04. Change of dates of stay not allowed. 05. The Special Offers rates are subject to booking conditions different from the standard ones. The booking of these offers implies acceptance of all the conditions proposed on line. The agreed dates of stay are always not changeable and in case of errors / changes in dates / cancellations the amount sent is always non-refundable. Rates for a typical stay surrounded by lemon groves. Our exclusive rates include private access to the Mediterranean sea, salt water swimming pool and wonderful solarium area use. Find the guaranteed best price and reserve! 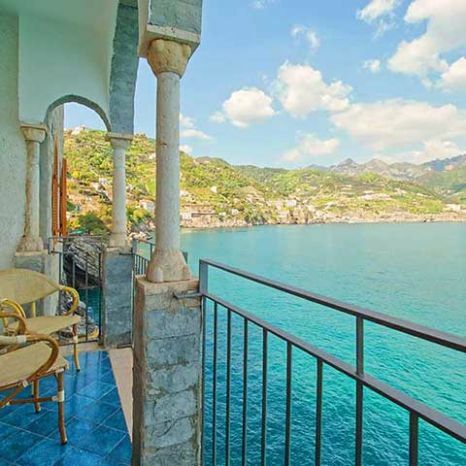 Everyday life in Villa Scarpariello Relais has the authentic taste of Mediterranean.